ASB CARD: Entitles students to free admission to all home regular season athletic contests and to discounts for selected activities. 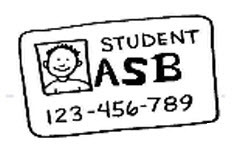 All students are encouraged to purchase an ASB card. Save over $300 by purchasing an ASB Card!